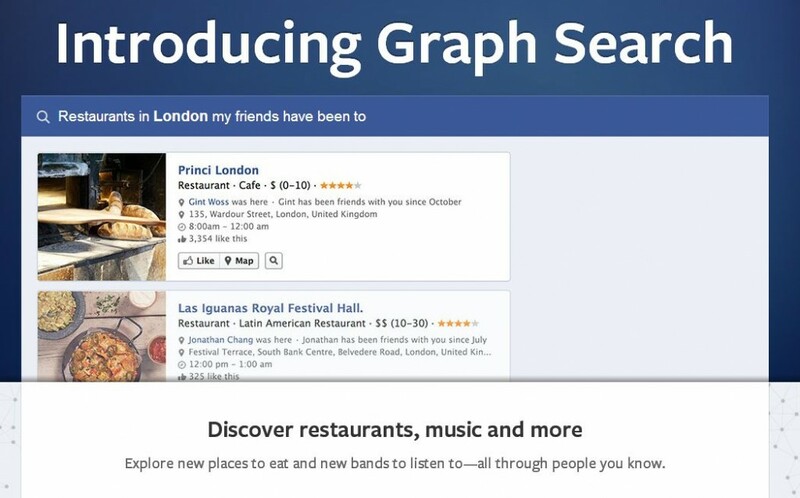 Facebook Graph Search was launched on January 15th, 2013. From a social perspective, graph search is designed to help you connect with people in your circle based on common interests. You can search for something broad like "friends who like yoga" or you can be more specific and try something like "photos my friends took at Disneyland." In addition to bringing you new ways to connect with friends and acquaintances, graph search also gives businesses a huge advantage on Facebook. Users can search for things like "restaurants my friends like" or "Realtors in San Diego". Once search results pop up, users have the opportunity to refine the results based on different filters. How does it help me and my business? As an agent, you should be taking advantage of all the free advertising you can get. With graph search, you have access to a powerful new tool that will help you reach a whole new audience of prospects. There are a few steps you should take to make sure your Facebook business page gets the most possible visibility on Graph Search. Make sure your contact information is up to date. If prospects find your business through graph search, you want to make sure they can easily get a hold of you. Make sure your geographic location is accurate in your profile. Add an address if possible. 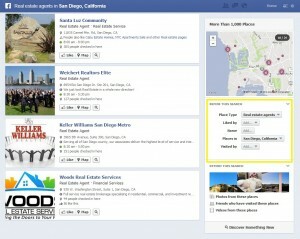 Location plays a major factor that Facebook takes into consideration when searching for results. Make sure your business is categorized properly. When you're logged into your page as an admin, click on the "edit Page" tab to access your business category. Make sure you've selected "Local Businesses / Real Estate". Under the Place Subcategories you can add real estate, real estate agent, real estate broker or any other subcategory that matches the services you offer. Getting recommendations from your clients on Facebook has never been more important because graph search allows users to search for businesses that have been recommend by their friends. This is great news for you because it dramatically increases your opportunity for referrals. As with most Facebook roll outs this one is happening slowly so if you can't see graph search on your page yet - be patient. As of right now, it's still in limited preview mode but you may as well get a jump start on maximizing your exposure! Want to learn more about how to use social media to grow your business? Ready to build a professional Facebook business page? Z57 can help! Join our team for access to our Z57 Academy training courses which are designed to help you take your business to the next level. You'll also get access to PropertyPulse - our all-in-one social media management platform designed exclusively for real estate professionals. Visit www.Z57.com to get started! Don't have time to manage your Real Estate business's Facebook page?